Like the guitar effects pedal it’s named after, Wah Wah Gee is a little bit rock‘n’roll and a whole lot of fun. The Asian fusion restaurant was opened by husband-and-wife team Darren Holroyd and Gillian Costa in July 2016. Holroyd oversees a number of other venues around Geelong as managing director of hospitality group EMC. 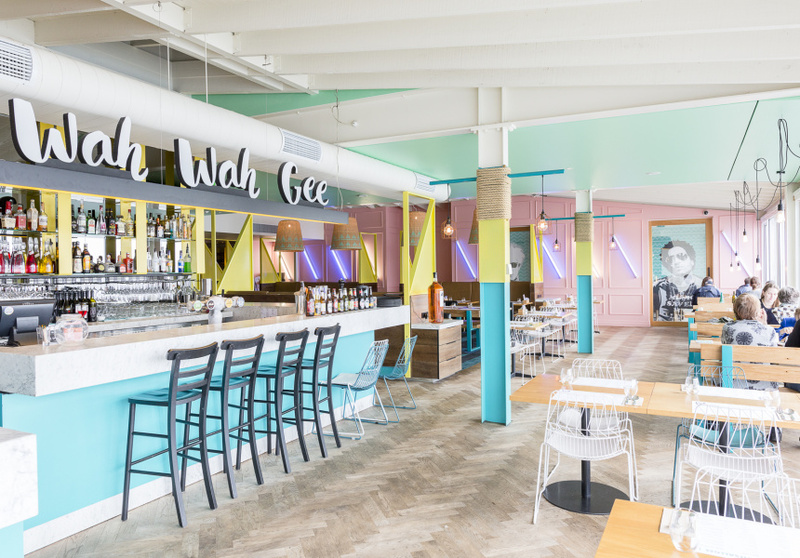 The vibe of the food and decor at Wah Wah Gee are much the same – colourful, with a little bit of attitude. Filipino lumpia, Korean barbeque chicken, Thai yellow curry, and a line-up of dumplings are menu mainstays. Then there’s the crowd favourite: steamed chicken buns with candied chilli. The menu is good for sharing, meaning Wah Wah Gee attracts plenty of lively groups. A list of fruity mason jar cocktails is an added bonus. 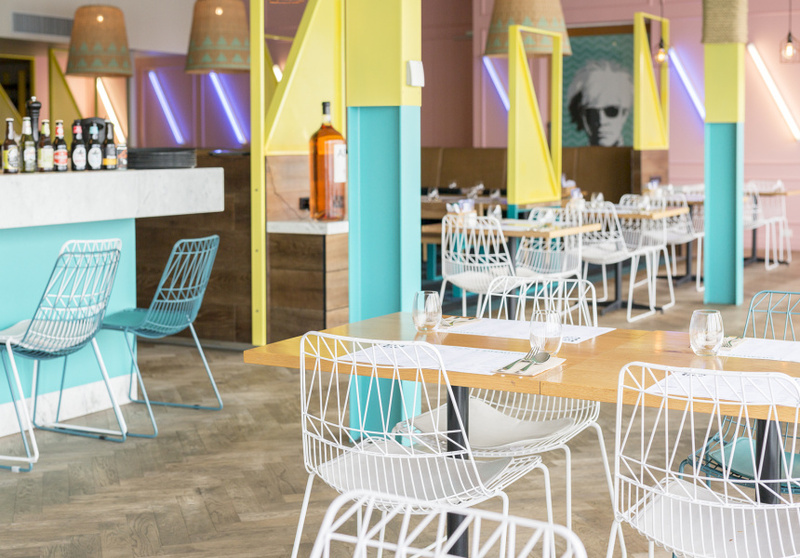 The Studio Equator fit-out features strips of neon, hanging basket light fixtures and bright, colour blocked pastels with a Andy Warhol-esque vibe – fitting considering the artist’s portrait is on the back wall. It’s joined by murals of Bob Marley and Lenny Kravitz. 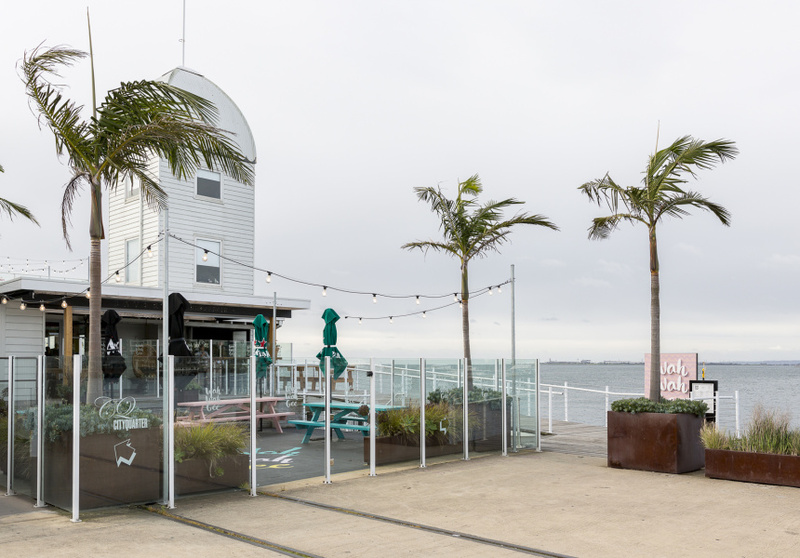 Cited at the end of the Geelong Pier with beautiful views of the surrounding bay, the venue is a hit with tourists and locals alike.